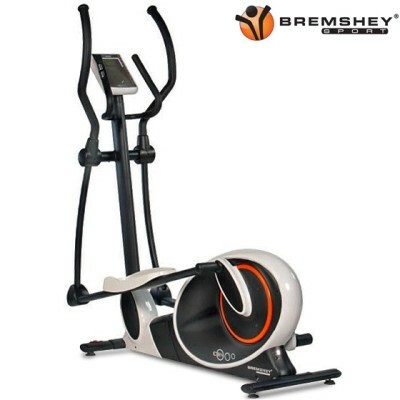 Bremshey CR5 Home Elliptical Cross Trainer is a easy to operate cross trainer. The frame of Bremshey CR5 comes with a warranty of 10 years and its dimension is as 166 L x 69W x 164H cm.It has some fabulous features such as collection of 22 programs, 3 different heart rate controls, functional design, heart rate chest and servo operated magnetic brake. Its stride length is of 16" and has got a weight capacity of 135 kgs. Brand New from the Bremshey Sport 2012 range. An ergometer crosstrainer measures the results of your training very accurately and displays this in Watts. A must if you train regularly and want to know what you have achieved! *Note: Most of the sites, stores or shopping portals listed above sell Bremshey CR5 Home Elliptical Cross Trainer with discounts and other exciting offers. There is a possibility that the some of above websites are not selling Bremshey CR5 Home Elliptical Cross Trainer now. Toughtrain.com is not liable for such cases or instances. Also we do not recommend any seller for Bremshey CR5 Home Elliptical Cross Trainer and a buyer should buy from where he/she gets best deal with quality of products, service and on time delivery (shipment).